Why should I sit on a Salli Sway? Do you sit on a regular office chair? So you are currently sitting on your regular work chair, dental stool, or even at home and wondering why you have this lingering dull or stabbing pain in your lower back, and/or perhaps stiff shoulders and neck. You just know it is going to hurt when you go to stand up and you are dreading the thought. Perhaps you are standing at your new sit-stand desk wondering how you are going to stand up all day to be healthy! (because that's the current thing right?). Your legs get tired, your hips get sore from leaning when you shouldn’t, and then you have to sit in that chair again that made you want to stand up in the first place! So meet the classic "ergonomic sitting guy". You have all seen these types of images before. The fact is your pelvis will still be rotated back, putting strain on your lower back, and subsequently your discs, leading to bulges, prolapses and acute pain. So what makes the Salli Sway different? This video is worth a watch. The main thing to notice is how easy it is to maintain perfect posture. Salli saddle stools help you achieve the very desirable neutral spine position without being forced. Ever felt a bit numb when sitting? 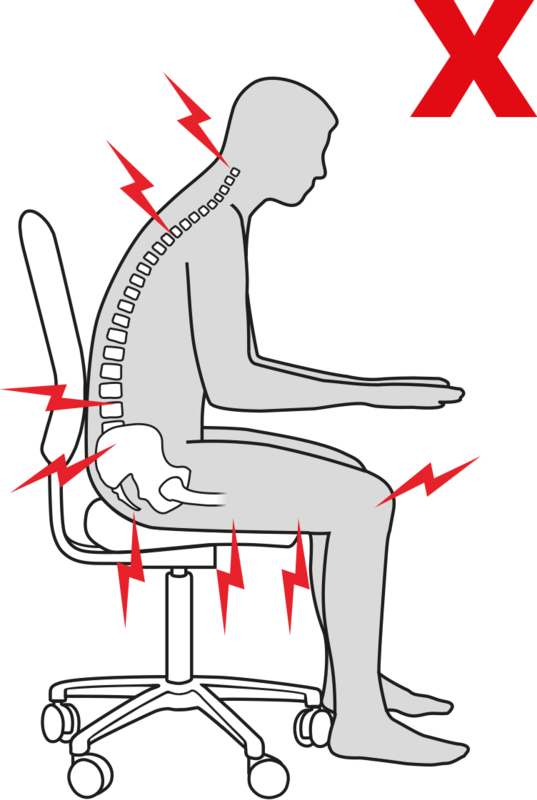 The pressure caused by sitting on conventional chairs disturbs the pelvis, tailbone, pelvic floor and genital area. It is believed to increase intestinal and internal pelvic health problems and erectile dysfunctions. On a conventional chair men tend to lean backwards in order to avoid the pressure in the genital area. This means the back is not straight, which results in back problems. On a one-part saddle chair the pressure on the pelvic opening is even stronger. We automatically try to avoid it by tilting the pelvis backwards, and as a result we slouch. If one already has back pain and it is too painful to slouch, the result is a numbed genital area due to the pressure imposed on it. When sitting on a two-part saddle chair, the pressure is on the sitting bones. As a result there is less pressure on soft tissues and that is why we can sit more comfortably, in a balanced position. Circulation also remains undisturbed. This is how the Sway gets its name! Active seating is a rocking mechanism that enables the saddle seat to be tilted in every direction without a separate adjustment lever. It functions in much the same way as a proprioceptor board is used for retraining/rehabilitation of the ankles after strain or injury. 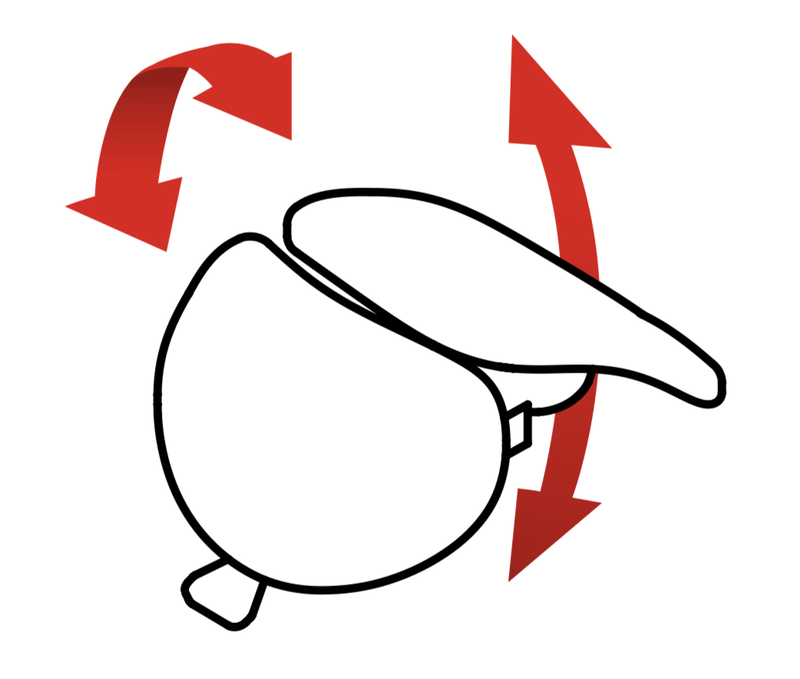 Traditional saddle seats lock the pelvis in the seated position, whereas the Salli Sway enables 360 degree pelvic movement, and as your centre of weight changes with natural movement, it encourages the muscles in the lower back improving tone and strength; reducing back pain and sitting fatigue. On Salli you sit like on a horse. 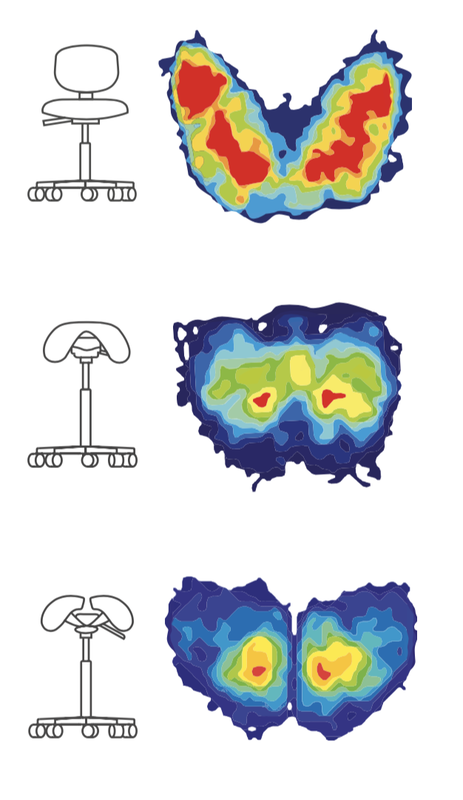 The chair directs your body automatically in the natural position, provided that the height of the chair is correctly adjusted. Using the Salli saddle chair together with a height adjustable table helps the neck and shoulder area to relax. The optimum sitting position on a saddle chair creates a 135-degree angle between the thighs and the upper body. According to several international studies, this is the only healthy way to sit because it improves circulation in the hip and knee joints. When we sit in a slouched position, the intestines get pressed between the hip and the upper body which slows down bowel movements. It is difficult to slouch on a Salli! Lots of middle-aged women have problems with their pelvic floor muscles. Sitting on a Salli Sway activates those muscles effectively. So why buy a Salli Saddle seat? Research and development is critical to Salli so they can continue to create not only great quality products with materials designed to last (like a 3mm thick steel seat base), but also products that have GENUINE health benefits. There is science involved! It is also vitally important to get a saddles chair to fit you, that's what we are happy to advise you, so please contact us! It' what we are here for. This is how the sway gets it's name! The seat moves with you in 360 degrees so you keep you back active and prevent stiffness and maintain blood flow to your spine. It also gives your core muscles a workout!